I think it looks like some of the Ranic Buildman concept work. Check out the alt head and phase arm attachment in the second post. 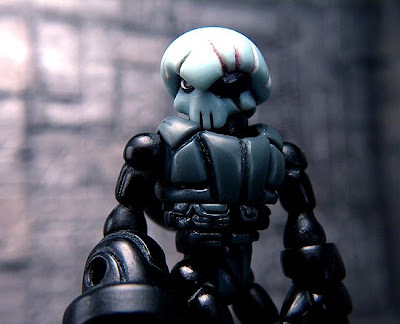 http://onelldesign.blogspot.com/search?q=ranic Also looks like its got some Glyarmor on and that Neo Sarvos head is sweet. Can't wait for this and the RealxHead figures! Topic: Nov 15th, 2015 Drop!!! Re: Nov 15th, 2015 Drop!!! Just pulled mine from the mail...Nemo, you've made an OUTSTANDING figure! It's a pretty special figure I think, I dig it! Anxious to see what else is coming. Pheyden sounds good, excited about that. We're also supposed to see more of that metallic yellow in this drop aren't we? Gonna pass on the Stryker Lock this time, not a fan of the black, holding out for the return of the white. Just ordered one also, can't wait to check this guy out! I had no idea some of you were who you were! Wow!